With various macro policy instruments failing to bear dividends, states like Telangana and Odisha are embarking on large-scale direct transfers to farmers. Other states might follow suit. But such measures at providing supplemental income have come under criticism for being fiscally imprudent, financially unsustainable and callous about targeting support to the needy. However, Ashok Gulati, who leads ICRIER’s agriculture thrust area, maintains that such transfers should be understood in the context of systemic undervaluing of farm produce that has led to an ‘implicit tax’ on farmers to the tune of Rs 2.65 lakh crore annually for the past 17 years. 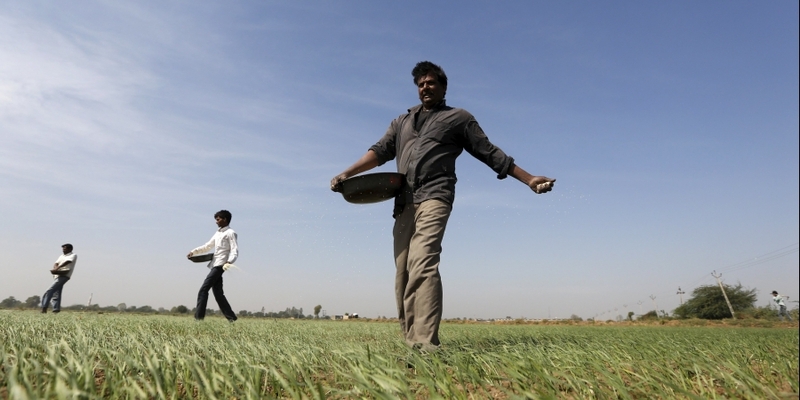 Using a tested method of ‘producer support estimate’, ICRIER and OECD have undertaken a study in India that has revealed that the producer support estimate was -14, indicating that farmers were transferring value to the consumers. This could be the consequence of a policy push that has attempted to maintain food prices under strict control to keep inflation under check. However, this has led to a serious crisis in the farm sector, which macro policy measures such as minimum support price (MSP) or zero interest loans have been unable to rectify. In this situation, the author argues that these new attempts at income supplementation that don’t inherently distort the market need to be considered with caution but their efficacy should be evaluated to see if they provide relief to the farmers caught in a crisis. 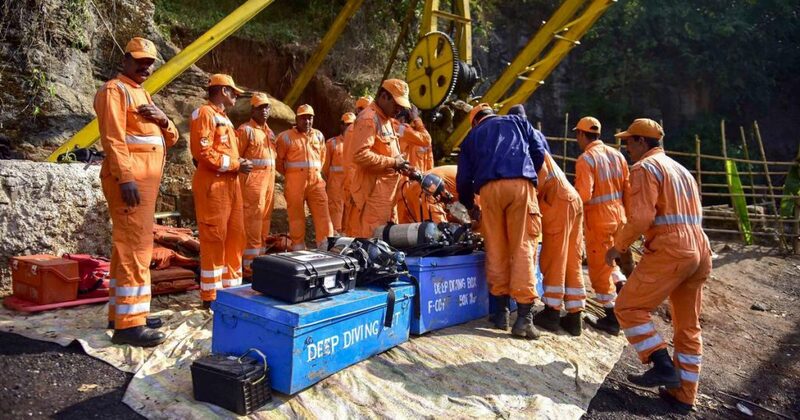 Five weeks since the collapse of the rat hole mine, trapping 15 miners in Meghalaya, news from the rescue operations is ominous. On January 16, the Navy – which is coordinating rescue efforts on the ground – reported identifying a dead body, but has been unable to recover it due to severe decomposition. It is feared that more miners may have been buried beneath the one identified, which is at a depth of 200 feet below ground. However, the families have demanded that the bodies be recovered in any condition so that they can have some closure. The Center and state governments have assured the Supreme Court that they will not suspend the search and rescue efforts even after the recent turn of events. However, there is a steady push from various quarters within the state government to regularise rat hole mining and lift the ban on such practices. The Meghalaya government has in fact sought the Union home ministry’s permission for exemptions from the Coal Mining Act so that it can legalise rat hole mining. The argument is that legalisation will allow the state to regulate the industry. An article in Qrius underlines the political nexus and the poverty of the workers as the reason for the continuing proliferation of this banned activity. One worker died after inhaling toxic fumes from a drain in North Delhi’s Timapur area. He was hired by a private contractor to clean a drain operated by the irrigation department. When he went missing for a long period of time, his colleagues alerted the authorities, after which a rescue effort was mounted. As per reports, it took the NDRF, seven hours to retrieve the body. A police case has been registered under the Prohibition of Manual Scavenging Act. An Oxfam study on unpaid care work at home reveals that women perform an overwhelmingly higher proportion of domestic care work, including cooking cleaning and baby sitting. It estimates that in India, women perform five hours of care work every day, while the men take a mere half hour. If accounted in monetary terms, the care work by women would be 3% of India’s GDP. This trend is no different globally. When fully accounted, it could add over 10 trillion dollars to the ‘invisible GDP’. The study was released before the World Economic Forum in Switzerland. The Guardian tells the story of two girls, Jyoti Kumari and her sister Neha, both of whom are teenagers. They took over their father’s barbershop after he fell sick but had to mask their gender. It was the family’s only source of income and the girls felt they had no other choice in their small village in UP. They have been pretending to be boys for four years. Over time, the girls revealed their identity to the customers and have now been accepted by them. In Bihar, over 2 lakh cooks employed by the Midday Meal Scheme (MDS) have been on an indefinite strike since January 7, shutting down mid-day meals in around 70,000 schools. They are demanding to be paid according to a 12-month system instead of their current wages for 10 working months on a contract and part time basis, amounting to a miserable Rs 1,250 per month. Student attendance has been dropping since the beginning of strike, but no negotiation has taken place so far. A parliamentary panel has recommended that the Indian government come up with an ‘emergency plan with standard operating procedures’ to evacuate the millions of Indian migrant workers currently in West Asian countries. This recommendation comes after last year’s news that 39 Indian workers had been killed by the Islamic State in Iraq in 2014. Forty three permanent workers employed by Modern Bread, one of the largest brands in India, are on a week-long demonstration against their new owners, demanding that the glitches in the transfer of PF savings to the EPFO be resolved soon, Thozhilalar Koodam reports. They are also struggling to retrieve their PF savings after retirement. 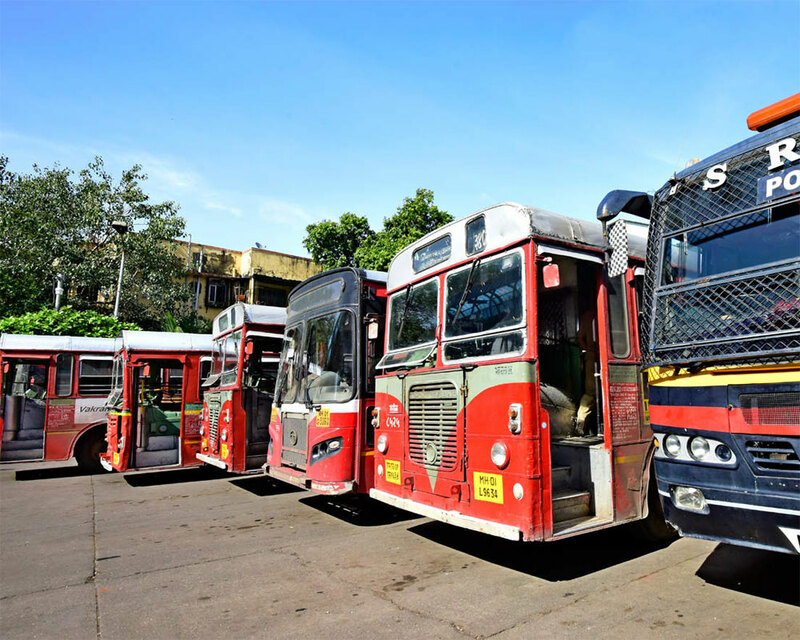 The BEST workers’ strike ended after the Bombay high court suggested a ten-step plan and gave the administration three months to implement it. While many news outlets consistently reported the strike in terms of the hindrance to customers, there were a few that spoke to the workers and told their side of the story. The workers have called off the strike despite not liking the deal proposed by the courts. The general secretary of the BEST workers’ union, Shashank Rao, initially said that “the suggestion was not acceptable and the strike will continue”. “The junior grade employees, who are now getting a salary of Rs 15,000, after the implementation of these measures, will hardly get Rs 10,000. It is like slitting our throat and we will not agree to it,” Rao told the Indian Express. Also Read: No Longer the BEST: What Ails Mumbai’s Public Road Transport? But the strike had already been their longest in many years and it was probably clear that the government would strike back hard – either sacking workers or fining them wages. Apparently, BEST lost more than Rs 20 crore during the strike. While it was money that the ailing corporation cannot afford to lose, it is nothing compared to the amount lost by mismanagement. Again, media outlets are being entirely unfair when they report this number without context. A recent survey of employees and contractors at the United Nations offices claims that over a third of the workers reported suffering sexual harassment at the workplace. While the response rate at 17% was very low, the alarmingly high proportion who have claimed to have suffered some form of sexual harassment has raised concern. The report comes at a time when the UN peacekeeping forces have been accused of various sexual abuse in conflict regions. As reported earlier, Dhaka was the site of huge protests by garment workers of some of the most high-profile fashion brands in the world. They were fighting for living wages. In response, the government and the companies have cracked down hard. The employers have sacked hundreds of employees who participated in the strike and the police attacked them on the streets. “Police told me not to create trouble. Otherwise I’ll be disappeared”, one striker told The Tribune. What ails our tea gardens? Here is a well-researched article in Sanhati on the intricate financials dealings of tea garden owners in Darjeeling that is causing severe depression among the workers and even denial of their earned social security and savings. And yet the ever owners blames the workers and their out migration as a reason for the present crisis in sector. Read it here. The dancer and the dance: How does globalisation reshape gender and caste roles? How does the social elite resist this trajectory? And what does it mean to the poor who labour in the margins of this new economy? Here is an article about the dance girls and the dance bars of Mumbai and their fight to continue work in an occupation of their choice in an upper caste dominated patriarchy. Read more here.